The majority of countries in the world is now organised in some variety of a republican political system with a president at its helm. Not only since the election of Donald Trump popular and scholarly attention have focused most strongly on the president of the United States, spawning the creation of a whole discipline of 'Presidential Studies'. In comparison, we only have a relatively poor understanding of presidential politics 'closer to home' - particularly in comparative perspective. Since the fall of communism, newly and democratically elected presidents in Central and Eastern Europe have played an active role in shaping the politics of their countries. 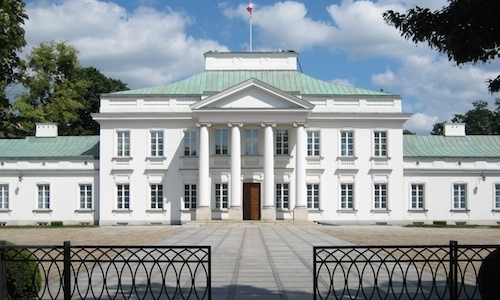 Although strong and prominent personalities, including Poland's Lech Wałęsa and Estonia's Lennart Meri, ascended to the highest office and thanks to their often controversial actions left an undeniable imprint on their countries' political systems, there are also clear patterns that emerge across the region. Most prominently, we can see a strong positive relationship between presidents' popular election (in contrast to an indirect elections by parliament or electoral college) and their activism. Directly elected presidents have their own electoral mandate that allows them to act independently and without fear of punishment by parliament and government. At the same time, they rely on public support for re-election and thus must be more active to fulfil electoral promises. This logic most recently played out in the case of the Polish president Andrzej Duda's vetoes of controversial judicial reform bills. Although Duda was initially characterised as a marionette of Law and Justice party leader Jarosław Kaczyński, his personal electoral mandate meant he had the opportunity to diverge from the government and its parliamentary majority. Concurrently, he could react to public and international pressure and his vetoes thus served the purpose of appealing to a wider range of voters by in a bid to secure his re-election. Now contrast the above example the with the silence of the - indirectly elected - Hungarian president Janos Áder on the Lex CEU or other controversial legislation introduced by the government of his co-partisan Viktor Orbán. Áder's successor Pál Schmitt likewise failed to stand up against the widely-criticised constitution of 2011. As my new book shows, this pattern can be observed since the creation of the new political systems in the early 1990s and office-holders perceived that they were more legitimised by a popular mandate. However, the mode of election is not the only influence on presidential activism. Irrespective of the nature of their electoral mandate, presidents across Central and Eastern Europe used their powers more often when they were in opposition to the government or exploited instable government majorities for their purposes. Interestingly enough, even the activism of presidents with 'strong personalities' whose behaviour has otherwise been described as idiosyncratic or erratic falls largely along those lines. In this context it is also important to note that - despite lower levels of activism - indirectly elected presidents are not mere figureheads that can easily be equated with (nominally) a-political monarchs. They still play an active role in politics (albeit less so than their directly elected counterparts) and are a vital check-and-balance on government, parliament and the legislative process. A very current example of this is German president Steinmeier's active management of coalition talks and public appeals to party to come together to avoid snap elections. Naturally, patterns and associations as found in my study of presidential activism in Central and Eastern Europe are not perfect (remember for instance the refusal of Czech president Vaclav Klaus' refusal to sign the Lisbon treaty despite being indirectly elected). Nevertheless, it appears that presidents behave similarly in similar context. The UCL European Institute with co-host the launch of Philipp's new book 'Presidential Activism and Veto Power in Central and Eastern Europe' (Palgrave, 2017) UCL SSEES on 8 December 2017, 6-8pm.